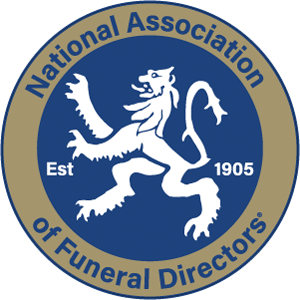 For this month’s blog post I have asked one of our civil celebrants Raymond Rowland to write about his experiences of how funeral music has changed over the years. Time was when most funerals were held in churches, and included some appropriate hymns like ‘Abide with Me’, or ‘The Day Thou Gavest, Lord, is Ended’. 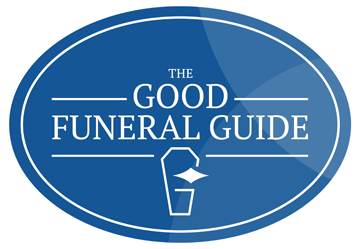 Today, things are very different, and many funerals include popular songs that the person who has died used to enjoy during their lifetime. Always Look on the Bright Side of Life – Eric Idle (from the film ‘The Life of Brian). Of course, hymns are still popular, as three of them are in the Top Ten. But, many families choose to use very different pieces of music. Most funeral ceremonies contain three pieces of music. One piece to come in to, one piece for reflection in the middle of the ceremony and a third piece for those gathered together to leave to. Our local crematorium, at Kingsdown, uses the Wesley system for their music. The Wesley system features a specially adapted PC Desktop, loaded with the Wesley Music operating software and music libraries. When the system was first installed, it included an initial library of over 1000 items. Over the years, many new tracks have been added. Families are able to request music through their Celebrant, or Funeral Director. If the piece requested is not already stored on the system, it can be downloaded from a central database. Requests for music items, depend upon their current commercial availability. But, I must own up that some very unusual songs have been found by Wesley, for ceremonies that I have been involved with. Recently, a family asked for the song, ‘A New Fangled Tango’, by Ethel Merman, to be played in the middle of the ceremony, at a time when everyone was reflecting on the life of the lady who had died. Apparently, she had brought this record back home from the USA, when it had been released in the early 1950’s. So, it was very relevant that it should be played in the funeral ceremony. A check of the Wesley library revealed that the Maurice Chevalier version of the song was available. But, not the Ethel Merman one. However, after a lot of searching, Wesley was able to find the Ethel Merman recording, and it was duly downloaded to be played during the funeral ceremony. The family were delighted. So, what piece of music would you like to be played at your funeral? Would you go for something safe from the Top Ten, like Sinatra’s ‘My Way’, or maybe ‘The Adagio from Mozart’s Clarinet Concerto’, or would you select something a little more way out? Perhaps, like ‘We’ll All Go Together when we Go’ by Tom Lehrer. When that was played recently, a small group of men, waited back by the crematorium door to hear the last part. ‘That was brilliant!’ one of the men said to me, as he went on his way. To talk to Rebecca or another member of the team, you'll find contact details here.